Looking for an all round wonder spray? Look no further! Muc-Off MO-94 covers all the bases with its incredible PTFE formula to quickly and effectively penetrate moisture, lubricate moving parts and leave a long lasting protective anti-muc film. 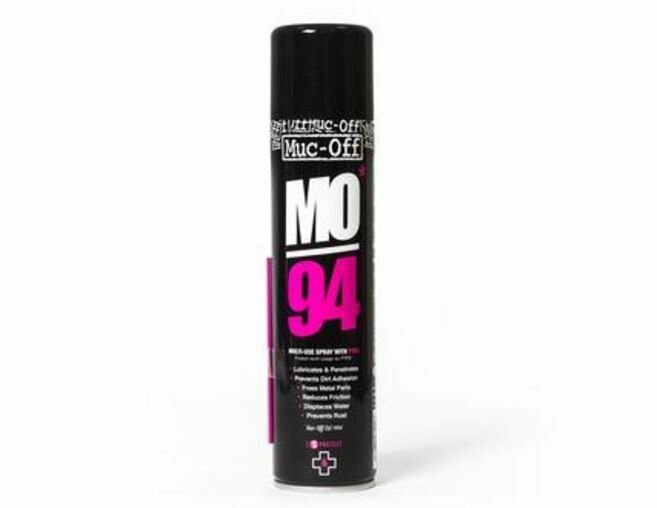 MO-94 prevents dirt adhesion and also drives out excess water to keep rust and corrosion at bay. MO-94 isn’t just for bikes, motorcycles or cars. Nope. It works on just about anything. Whether you’ve got a squeaky door hinge, a rusty lock or a bolt that you just can’t turn, MO-94 is all you need. *Just remember not to apply MO-94 to your rc tires tires, brake or clutch surfaces!